We are in POWERFUL full moon eclipse energy. The moon medicine and opportunity now is nothing less than radical soul awakening. If we choose it. The portal is already open beloveds and this eclipse is a gateway for us to ignite (Aries) deeply feeling love (Libra) as the core of who we are and shed any fears that may have kept us feeling safe, but small. It is now time to tune in to the seemingly strange occurrences taking place. This BLOOD MOON is shaking our foundation loose of any falsity in our lives, from within our blood lines... our very DNA, to return again to our center, to our true power and strength. This is deep, potent, medicine. In this is time of great polarity; Sun/Moon, Mars/Venus, Aries/Libra, we are being catapulted into new landscapes within our awareness and being called to remember that Great Spirit/God/Goddess dwells inside of us. We are being summoned from our core to rise together in wisdom, truth and love for radical soul awakening. My this also be in dedication for our ancestors and for all future generations in front of us. Yes! In the midst of this major multidimensional shift, please remember to be gentle with yourself and with each other. Blessed Be. Authentic Inquiry Journaling: Bring your pen in hand to paper and let your heart answer these potent questions. What I am I holding on to that may feel safe, but is truly not serving? What do I consciously choose to release with love? What am I changing? What is the deep unwavering truth of who I am? What do I truly desire? What is shaking loose within me? What does my soul/heart need right now? Move your Body and Dance Dance Dance: It is time to SHAKE loose all that is not your truth and ignite love through the body. I've made you an Eclipsing Full Moon Medicine Dance playlist! Get in your body, breath deep, let go and let God/dess. Sisters Of The Moon ONLINE begins soon. 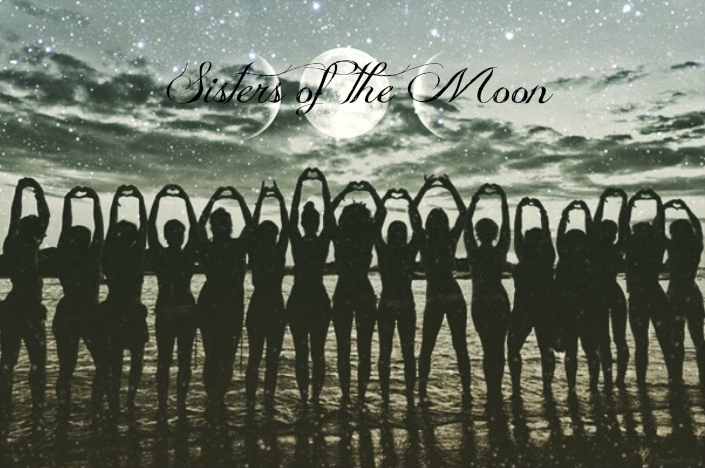 Calling all wild and sacred women who wish to deepen their connection with the living wisdom of the lunar rhythms that guide our lives! This Spring, we gather VIRTUALLY and welcome in the Goddess Rising Aphrodite Immersion to blossom open our embodied self-love, beauty, sensuality, sacred sexuality and the powers of womanifestation as we journey in rhythm with the Moon. Posted on April 3, 2015 by Goddess Rising.